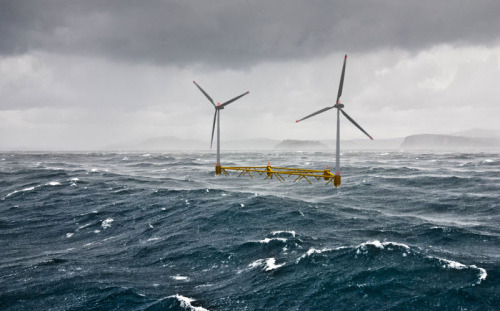 Atkins Hexicon floating offshore wind platform (Image courtesy of Atkins). Atkins’ offshore wind team has been working with Hexicon to define the concept since 2015 and is currently in the process of analysing a two turbine 8-12MW structure ready for Front End Engineering Design (FEED) and physical model testing of the new design later this year. New developments in the design of the floating structure's mooring system have increased the efficiency of the rotating system reducing CAPEX and maximising energy yield. Winning Statoil’s Hywind floating wind demonstrator Installation Challenge competition.